Although in 1580 the French philosopher Montaigne did not seem as perturbed by what he observed was a “sliding or gliding European dance” where the dancers held each other so closely that their faces touched, others were not so forgiving of what evolved into the sensuous, almost sexual “waltz” or La Valse. Kunz Haas famously wrote, “Now they are dancing the godless Weller or Spinner. The vigorous peasant dancer, following an instinctive knowledge of the weight of fall, utilises his surplus energy to press all his strength into the proper beat of the bar, thus intensifying his personal enjoyment in dancing”. But Will Duchon makes no such judgment although he captures all of the fiery sensuality; even the wanton sexuality that first drove the “vigorous peasant dancers” to distraction in his masterful interpretations of great waltzes on his disc entitled – as it simply should – La Valse. You will surely find it in your heart to forgive Will Duchon for excluding Johann Strauss from this selection of 12 waltzes because the repertoire that has been included is faultless. The disc begins with two waltzes by Maurice Ravel including his choreographic poem, “La Valse”, a piece which famously turned the sensuality of the dance form into a vehicle for biting satire with music scarred by Ravel’s experiences of the World War I. Frédéric Chopin’s waltzes, greatly influenced by Carl Maria von Weber’s Invitation to the Dance, are not simply brilliant and sophisticated piano showpieces; they’re personal responses to the dance form, imaginative evocations of the gaiety and abandon, and sometimes sadness of the ballroom. Heitor Villa-Lobos’ “Valsa da Dor” is a gushing poem driven by some ostinato but also containing melodies of a more folksy complexion within its eloquent, uniquely rhapsodic fervour. And where there is Chopin, surely there is also Franz Liszt. And what would Liszt pieces be if not seemingly orchestral works written for the piano, which are here played in all their virtuoso delight by Mr Duchon. Each of the three waltzes here is bursting with Romantic imagery, including evocations of violins, nightingales and the play of starlight on village dances. The Kreisler-Rachmaninov “Leibesleid” is redolent of technically challenging motifs as its starting point and weaving poetically from that. The Brahms is characterized by the palpable sense that the piano is borne on the wings of quasi-orchestral texture. Perhaps the most significant item in the repertoire here is the “Slow Waltz” which is taken from the Brasilian musical wonder, Clarice Assad’s Impressions, a gorgeous suite for chamber orchestra. Miss Assad writes with the sense of her own unique Brasilian-ness in mind. She is also blessed with an astonishing understanding not only of her instrument – the piano – but for virtually every instrument in an orchestra and her music reflects this in every nuanced aspect. 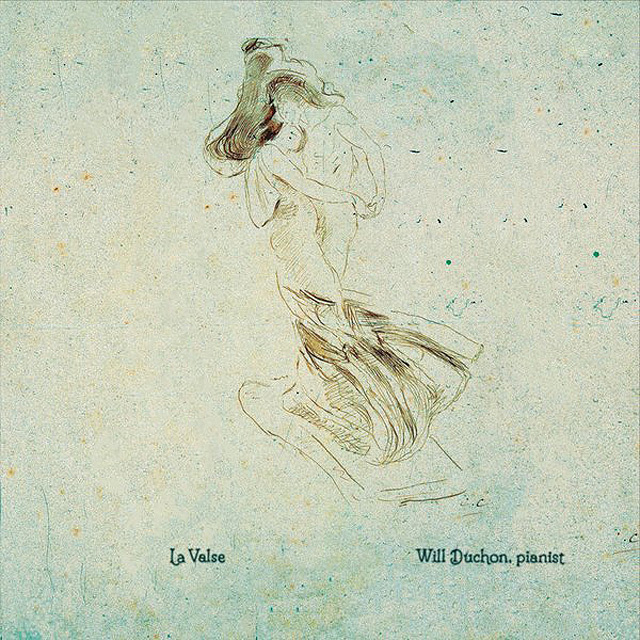 Will Duchon has made a masterful adaptation of this chamber piece for the piano and seems to play it with prophetic wisdom as he brings out the beauty of the work’s lyricism and introspective moments. Hardly surprisingly Miss Assad’s “Slow Waltz” – and indeed the eleven other waltzes on this disc are furtively captured, and re-released in all their absolute splendor by Will Duchon with such mastery as will be remembered for a long time to come.